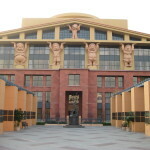 My magical journey as a DisneyExaminer intern. Editor’s Note: Here at DisneyExaminer, we feel so privileged to be able to run our internship program, which has allowed us to work with so many wonderful and talented people. As we begin to search for our spring ’15 interns, we wanted to have our exiting interns share their story. 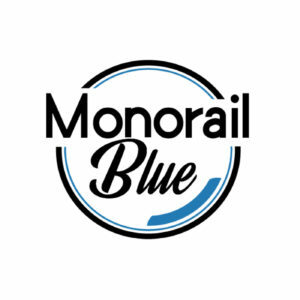 Thomas Morrissey, an intern who has recently completed an internship with us, does just that in this special story. 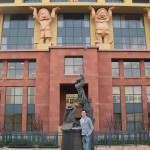 Check out his stories below to see what it’s like to work at DisneyExaminer! “We would like to extend the internship position here at DisneyExaminer.” I didn’t know just how much that one sentence was going to change my life. When I first came on board I thought I was going to be writing on all things Disney. That proved true, but in a much broader scope than I could have imagined. 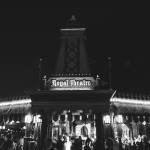 I was not only writing about Disney, but living it, so to speak. As they say on that magic carpet ride, ‘let me share this whole new world with you’ and talk to you about my time as a DisneyExaminer intern. 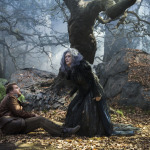 My first assignment was to write on the (then) just-released trailer of Disney’s “Into The Woods“. Being a fan of the original musical, I leapt at the chance, not knowing the opportunities it would later bring. Not only did I watch the trailer, but was invited to preview the movie before its wide release in preparation for the chance to interview some of the cast and crew that same week. The film was exactly what it should have been, and to meet some of the people who made it was an opportunity I am very fortunate to have experienced. 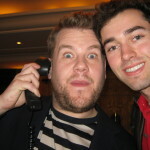 I even managed to snap a fun little photo with one of the stars, James Corden. Oh, Mr. Corden, you goofball. It seems like it would be hard to top that experience, but topped it was by my next assignments, which both regarded renowned musicians. 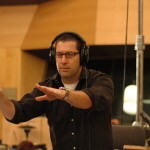 The first was an interview with composer Christopher Lennertz, a jolly fellow who recently crafted the music for ABC’s musical miniseries “Galavant” and Marvel’s “Agent Carter”.We talked about his life, his start as a composer and his interests: he is a big Marvel fan, and is so excited to compose for “Agent Carter” and said that he is just blessed for the opportunity to work with Alan Menken on “Galavant”. But the music did not stop there. 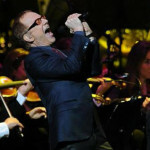 I also was presented the chance to watch Danny Elfman – yes, THE Danny Elfman – orchestra perform live at the Honda Center. 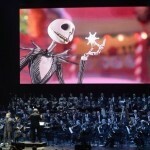 The music was wonderful and Mr. Elfman himself came out to sing his own songs from the cult classic The Nightmare Before Christmas. What a performer- I felt like getting up and dancing to his songs! That concert was one of my favorites and I am thankful to DisneyExaminer for the chance to have seen it. 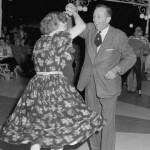 As speaking of music makes you want to dance, my next assignment – just because I was interested – was exploring the swing dancing culture at Disneyland. Every Saturday night at 7:30 PM at the Royal Theater in Fantasyland, big band and big fun have invaded the small space since the time of Walt Disney himself. 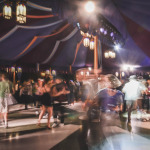 I not only had fun, but I made friends there almost instantaneously and have gone back ever since, and strongly encourage anyone, no matter your skill level with lindy swivel hips moves or the cha-cha, to participate at least once. Once you do, you’ll be sure to come back for more big band fun. And finally, for my last action as a DisneyExaminer intern, I had the privilege to interview Mr. Rick Dempsey, the VP of Disney Character Voices at the Walt Disney Studio lot in Burbank. It was my first time there and it was just inspiring to walk on the lot where the magic happens. 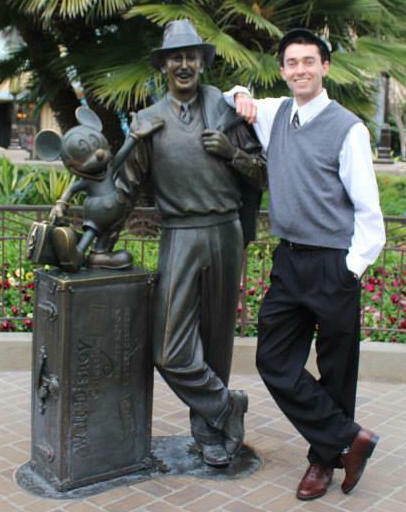 I took pictures with the Disney Legends and the Legends statue itself as I aspire to be a Disney Legend one day. Mr. Dempsey, who is well on his way to becoming a Disney Legend for all his hard work, was a pleasure to talk to and his work is fascinating. He even showed me the handwritten phonetic French lyrics to ‘You’ll Be In My Heart’ from “Tarzan” as written by Phil Collins himself! How cool is that! Be sure to read the upcoming interview with Rick Dempsey, only here at DisneyExaminer. It has not been too long, but these (and more) were the experiences given to me at DisneyExaminer, and I am so very happy to have been a part of this team and so fortunate to have been able to do all these things. I cannot wait to see what lies in store for DisneyExaminer. So for now, this is Thomas, signing off: TTFN – Ta Ta For Now. 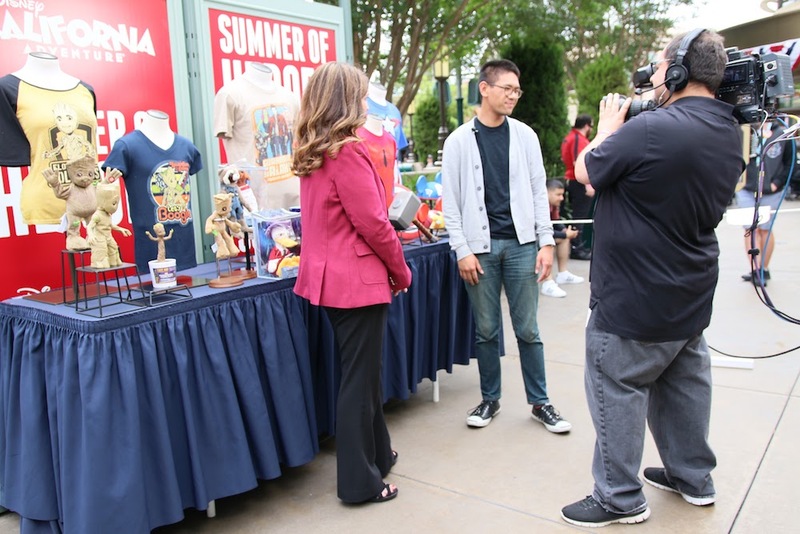 Would you be interested in becoming a DisneyExaminer intern? What would be your dream job? Share your comments below and be sure to check out our internship page for more information and future openings! Previous story “See the light” in real life. Next story This is how Disney helps those with autism and PTSD.